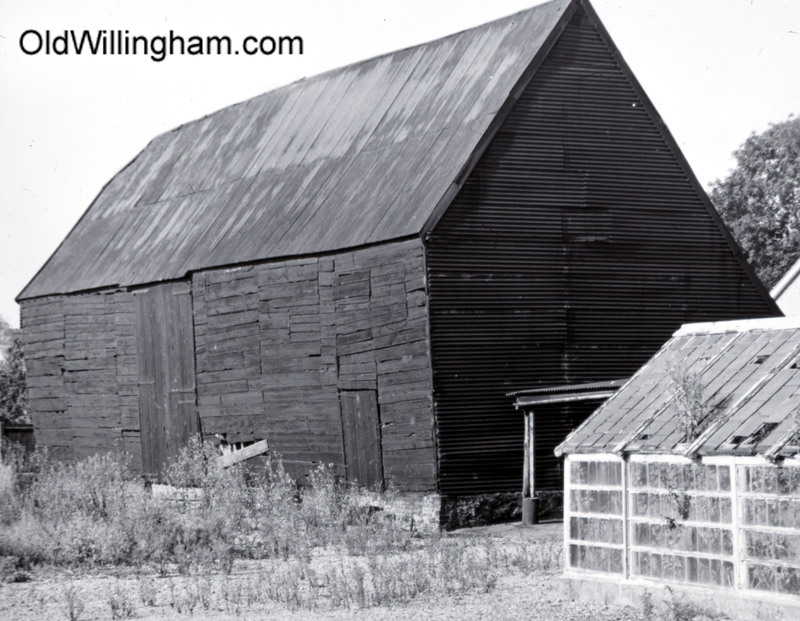 This large barn is situated on the corner of Church St. and Long Lane. It was built in the 1600’s but it looks pretty shabby here in the 1970s. However, while cladding has been replaced many times over the years, the original internal structure and beams are still large and strong. Barns were an essential part of village agriculture both for grain storage and for threshing – that is separating the edible grains from the stalks and chaff. Before threshing machines this was done by beating on a hard floor in a large barn like this. There used to be several large barns in Willingham but this is the only one to survive, being converted to a Grade II listed house in 1989. As a condition of conversion, the original threshing floor was left in place and remains under a new raised floor.